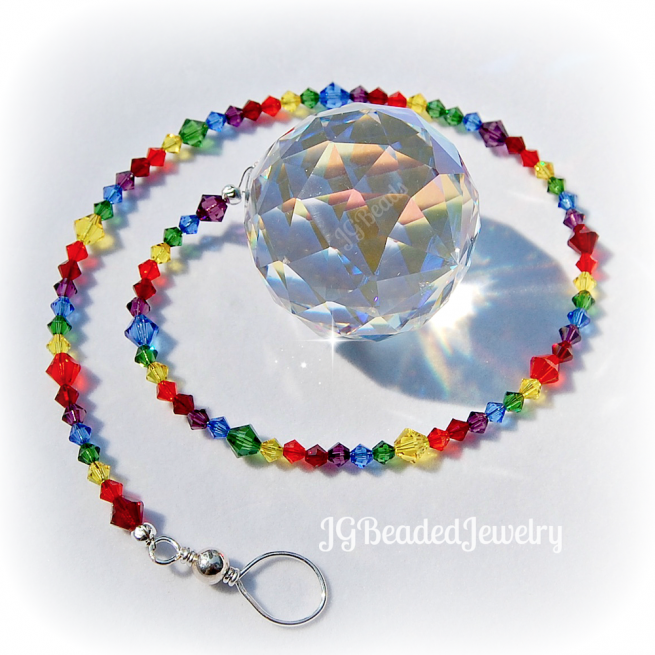 This large Swarovski rainbow prism crystal suncatcher is uniquely designed with a beautiful 40mm prism crystal ball (measures approximately 1.75 inches long) and embellished with flawless and beautiful world-renowned Austrian Swarovski crystals in a cascading flow of rainbow colors. There is a sturdy handcrafted wire wrapped loop for hanging in the perfect place! 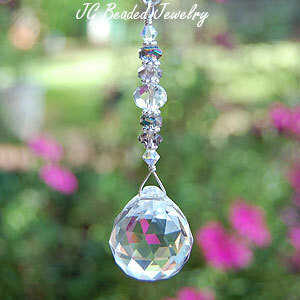 The full length of this Swarovski suncatcher is approximately 16 inches. 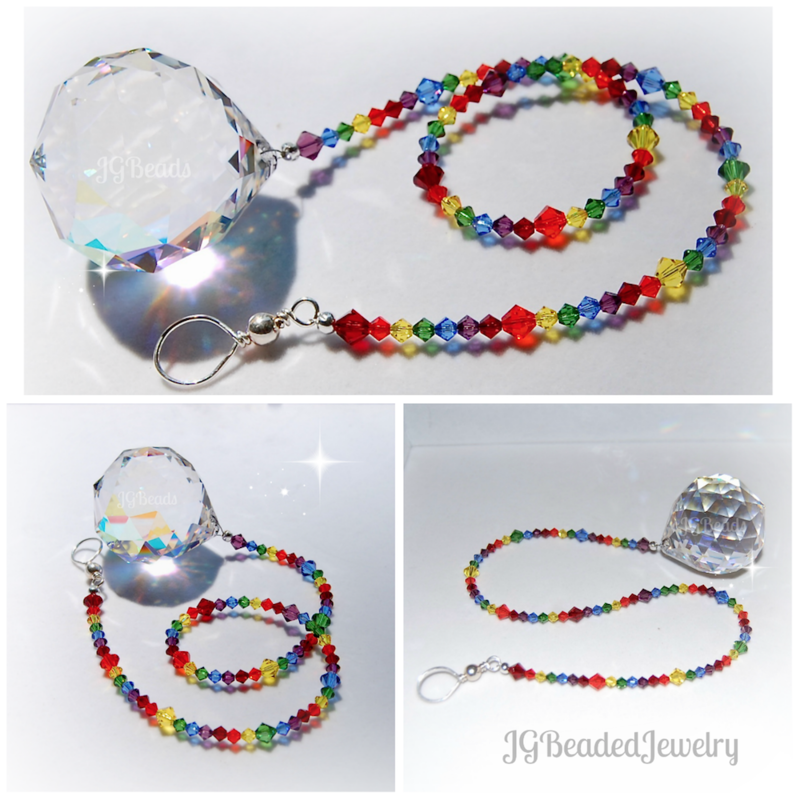 ♥ The prism crystal ball is available in Clear and Clear AB. The Clear AB (shown in photos) has a partial aurora borealis finish that creates a greater rainbow effect when in direct sunlight. 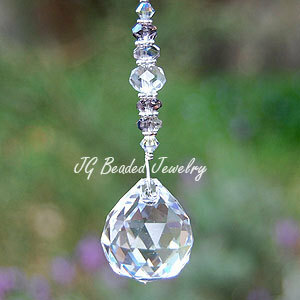 ♥ If you would like more than the quantity available, please send a message with your request!